Signs of burning oil are usually accompanied by Blue Smoke from the exhaust. It can be a gut wrenching feeling to start your vehicle and find smoke spewing out of the exhaust pipe. For most, it leaves them feeling anxious and panicked that they will have to dip into their savings account. First, it doesn’t take much for an engine to start burning oil. But you should know that there are many variables that can cause the engine to start burning oil. 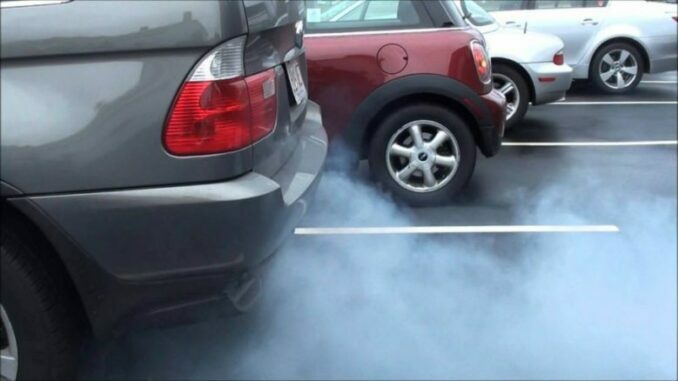 Blue smoke is a clear sign your car engine is burning oil. It also creates an awkward smell and is not good for your health to breath in. 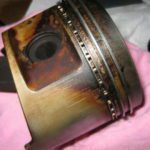 Burning oil can eventually contaminate the catalytic converter and oxygen sensor. It also increases the risk of the engine running low on oil and losing oil pressure. If you see blue smoke coming out of exhaust after you have parked your car for a while, the probable culprit is bad Valve Seals. 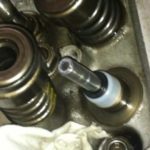 Worn valve guides and valves will also cause this issue. 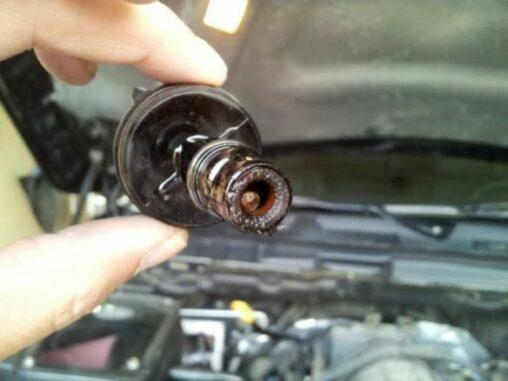 There are valve seals to prevent this oil from flowing into the engine. If these seals are worn or broken, the oil will come down into the engine, then is burnt along with the air and fuel, causing blue smoke. 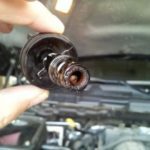 If you observe blue smoke appearing in your car all the time, the PCV Valve should be the first thing you should check. The function of PCV valve is releasing the pressure (which builds up in the Oil Pan) into the Intake Manifold. The intake Manifold is linked to the Air Filter of your engine. 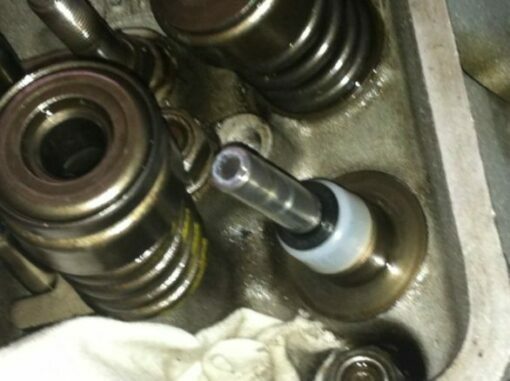 So if the PCV Valve gets stuck, it will keep mixing the oil with air and other gases inside the engine. The combustion of this mixture will cause blue smoke. The function of piston rings is to help the piston create a tight seal against the cylinder. So if the rings are worn out, oil from below will get sucked up past the rings. Also, A worn or damaged cylinder wall could do the same thing. Then the oil gets mixed with the air fuel mixture and gets burnt, causing the blue smoke. Your car can run for a while if it’s burning oil, as long as you keep adding engine oil when it gets low. There are, however, issues that will come up. 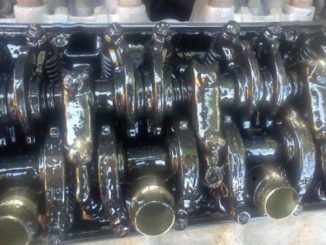 The engine will run rough, because oil doesn’t burn properly in the cylinders. 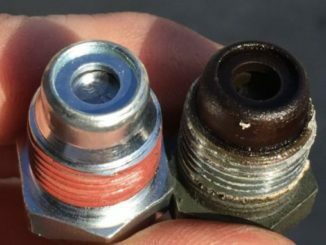 Spark plugs will become fouled by oil, turning on the Check Engine light. 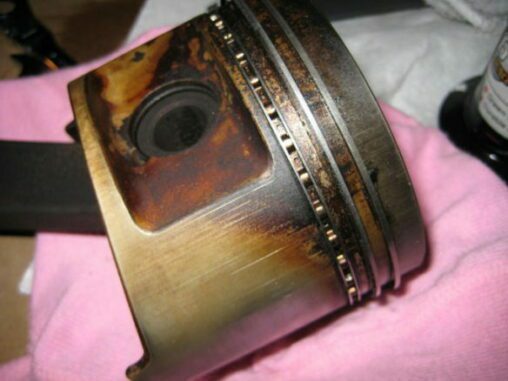 Excessive oil in the exhaust can cause your catalytic converter to overheat or fail. Low engine oil can cause a blown or seized engine. A vehicle’s engine and fuel system are crucial to the vehicles performance and keeping them clean requires standard regular maintenance. This can be as simple as getting regular oil changes and servicing the vehicle when the manual calls for it. Missing or prolonging oil changes beyond their recommended changing intervals can also lead to further contaminant issues. There are a lot of bad videos and even worse advice when it comes to proper vehicle maintenance. Some examples we are referencing include using diesel fuel, kerosene, or water as an engine flush. Other examples are people using products that have seen no refinement in their chemical formula throughout the years. Often, these cheap flush products eat away at engine gaskets and critical seals which can cause the engine to leak. Additionally, the cheap flush can break large chunks of contamination free. 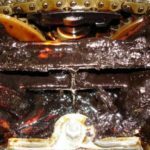 Have you ever seen the oil come out of a engine during an oil change. 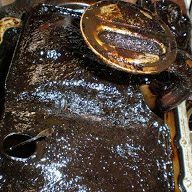 Ever wonder why it is much darker than new oil. 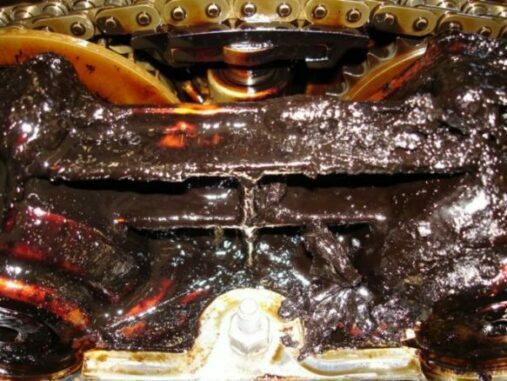 Oil only changes color when contamination is present in the engine. The oil mixes with the contamination and lubricates your engine with the debris mixed in. It’s not the ideal situation. These contaminants can turn into deposits left behind in the engine and can lead to clogged PVC valves. 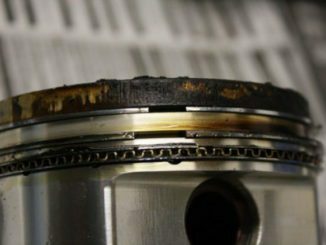 Contamination and debris from dirty oil can end up clogging oil rings and causing piston rings to become stuck. Both issues can create blow-by which will cause the engine to start burning oil. When the oil lubrication system cannot work properly, friction increases and so does the heat in the engine. This in-turn can warp metal, melt seals, and ruin gaskets. All symptoms that can cause the engine to start burning oil and smoke. On some cars, especially those that use synthetic engine oil, the tailpipe smoke might not be as evident. A burning oil smell is still quite obvious. Oil consumption is a normal part of engine operation. Normal oil consumption can average up to a quart per 2,000 miles. It can leave your crankcase low on oil. If your oil consumption is much higher than normal, you might not know it until it’s too late.